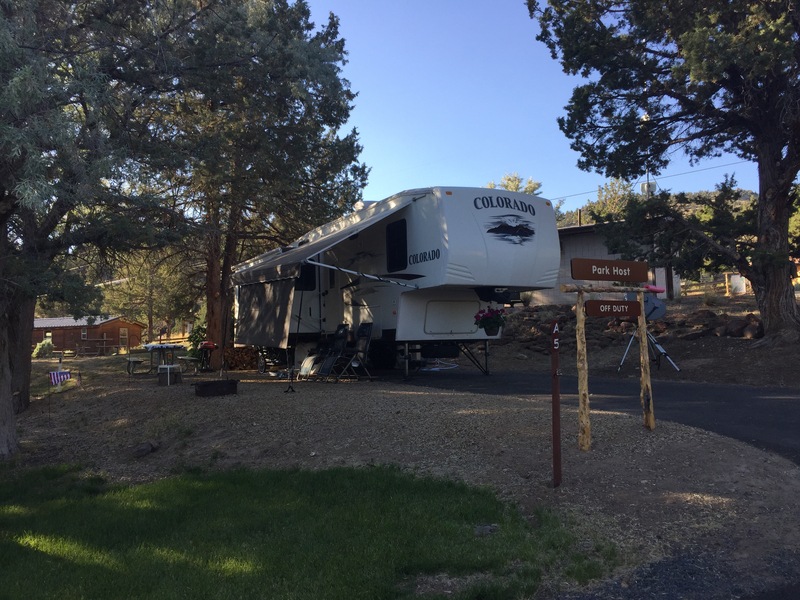 As stated in our previous post, we are currently the interpretive hosts at Prineville Reservoir State Park, 17 miles south of Prineville, Oregon. This is a high desert climate, with sage and juniper dominating the land. Afternoons can get blazing hot and nights chilly, and the humidity is next to nothing. The Crooked River was contained by the Bowman Dam in the late 1950’s to create a 3000 acre lake that sits 3200 feet above sea level. Quite a difference from our last location on the Pacific coast! Our campsite is one of the nicest host sites we have ever seen. We sit at the highest point in the tent loop, and we have a view of the lake from our patio. The juniper trees provide us with plenty of shade most of the day, so the 100+ degree mid-day temperatures are not an issue. 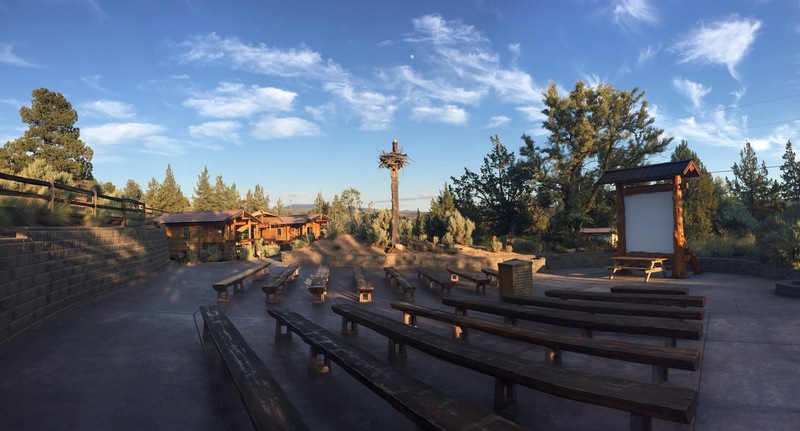 The Eagle’s Nest Amplitheater and Discovery Center complex is one of the two areas of the park where we help out. 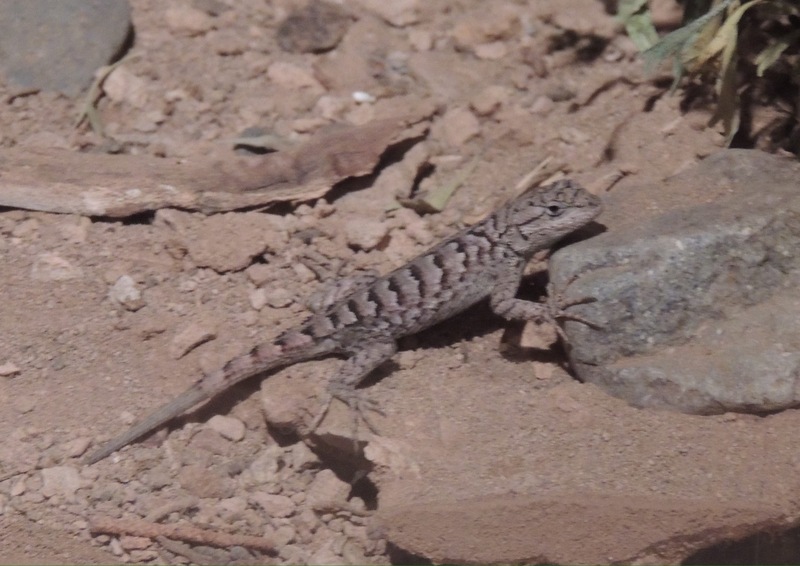 We take care of a few critters in the Discovery Center, including a smallmouth bass, a gopher snake, and two fence lizards…one of which is seen here. 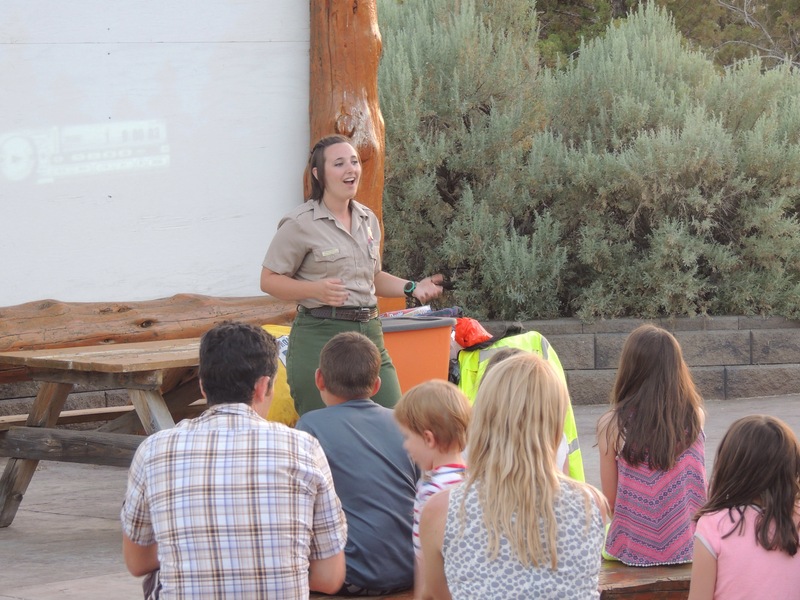 We assist the Interpretive Ranger Mariah with her educational programs. She is enthusiastic and enjoys sharing her wealth of knowledge about Oregon’s natural resources. It’s fun to watch her interact with park visitors! Diana is enjoying helping with the park’s Junior Ranger program. 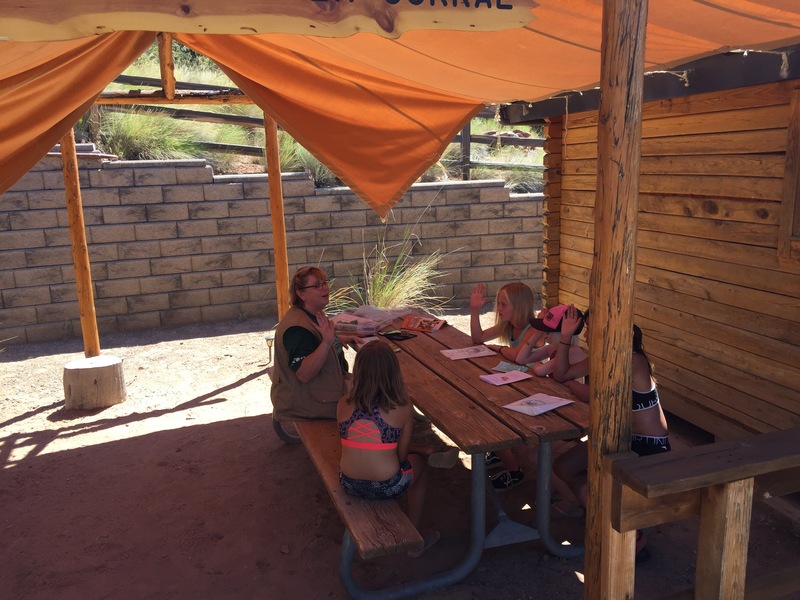 Here she is administering the oath to a new group of Junior Rangers! 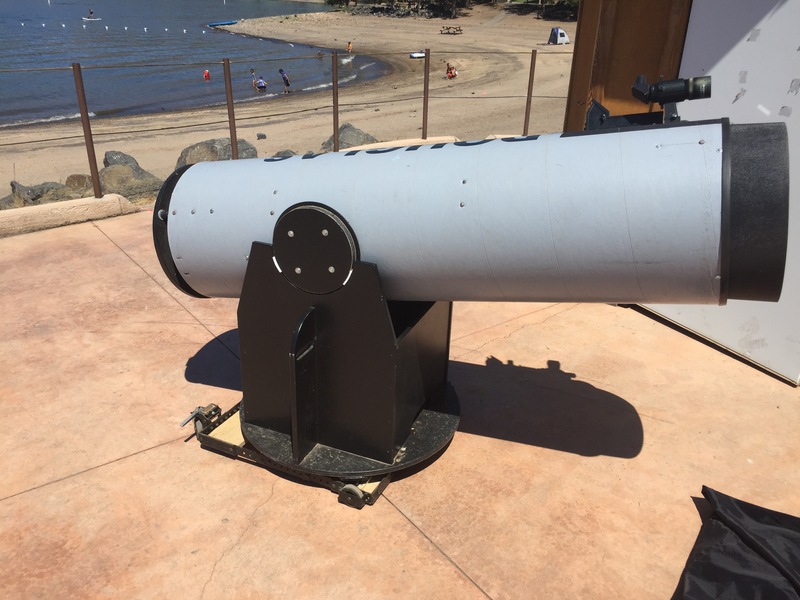 We also run the star gazing programs at the observatory next to the beach. This is the park’s 16″ deep space telescope. It resembles a circus cannon! We can easily see the bands on Jupiter with this. We had 62 people attend a sky viewing on Saturday night! 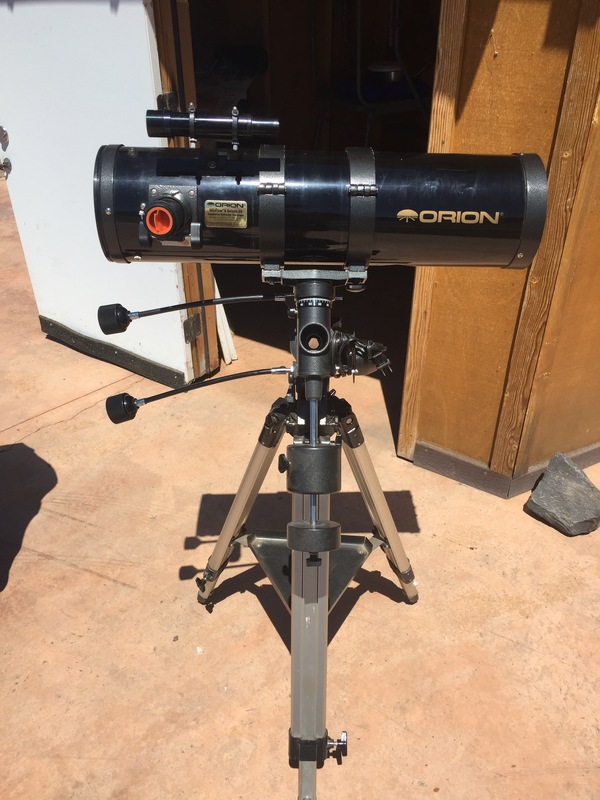 We also have a 6″ Orion tracking telescope at our disposal. We are going to be learning how to use the tracking feature sometime this week. We’ve also met a lot of new people and learned a lot of new things! 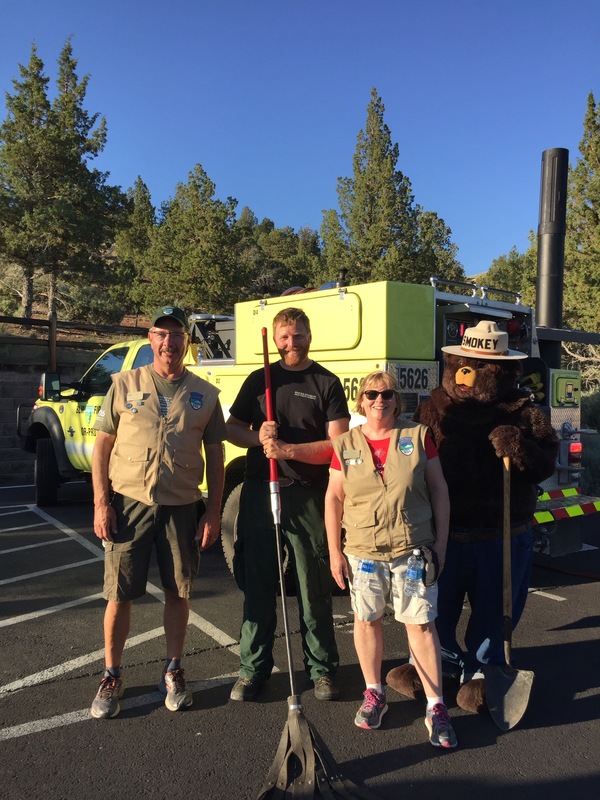 Here we are with a woodland firefighter and Smokey Bear! We’ve also met a pair of search and rescue specialists and we are going to go on a hike with a geologist this weekend. All in all, it promises to be a great couple of months here in Central Oregon! Stay tuned to see what new vistas we find to explore! Smokey Bear gear and other great things on Amazon!